Sir Lynton Crosby, who is dubbed “the Wizard of Oz” and was the mastermind behind Mr Johnson’s two London mayoral election victories, is planning to co-ordinate a nationwide plan to destroy the Chequers deal. He has ordered senior staff at his strategy firm, CTF Partners, to work with hardline Brexit groups like the European Research Group (ERG), led by Jacob Rees-Mogg, and Change Britain to whip up strong opposition to Chequers. A senior Tory told the Sunday Times: “Lynton’s firm is working with the ERG to run this campaign to bring down Chequers. Sir Lynton is abroad but officials at party HQ said he has contacted Tory donors encouraging them to fund his campaign. A spokesman for CTF Partners confirmed the existence of the anti-Chequers campaign and the company’s involvement but defended their actions by saying even Theresa May’s former aide Nick Timothy has said she should ditch Chequers. The spokesman said: “CTF’s senior staff are often consulted because of their campaign expertise and knowledge. That’s not unusual. 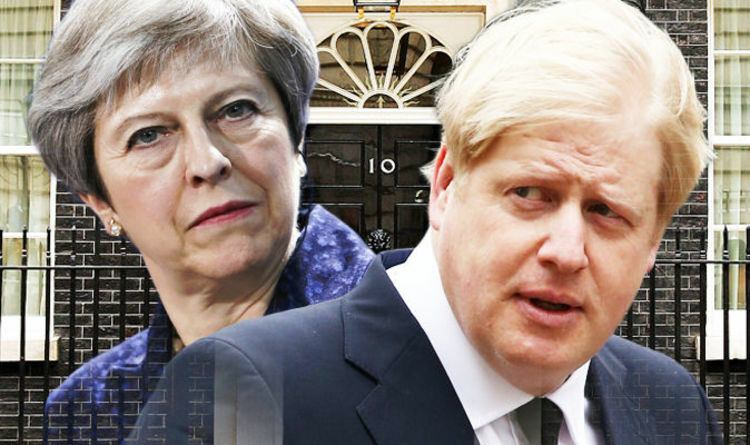 “The better the deal the Prime Minister secures for the UK in Brexit negotiations, the better the prospects for the Conservative Party at the next general election. David Canzini, one of Sir Linton’s staff, has been working to “put rocket boosters” under Change Britain, a pro-Brexit group with a strong online presence, and turn it into a guerrilla campaign to attack Chequers. He is working closesly with former Brexit minister Steve Baker and Stewart Jackson, a former David Davis aide. Mr Canzini has tweeted messages attacking the Chequers deal and retweeting influential Brexiteers like Baker, Jackson, Nigel Farage and Priti Patel. Boris Johnson has denied any involvement with the CTF campaign. The Prime Minister’s controvial Chequers Brexit plan was reached in July after months of bitter dispute. However, the plan has outraged key Brexiteers who argue it will deliver a soft Brexit and will see Britain maintaining close ties with Brussels permanently. Notable critics include Mr Johnson, who said the cabinet were “polishing a turd” when they designed Chequers. Another was David Davis, the former Brexit secretary, who resigned over the deal. MPs are said to be planning to publish an alternative plan to undermine Chequers before the Tory Party conference with the backing of Mr Johnson and Mr Davis. Next week she will come under more pressure from Nick Boles, a close ally of environment secretary Michael Gove, who will call on the prime minister to ditch Chequers and push for Britain to have a Norway-style relationship with the EU. This comes as the Prime Minister tries to secure support among Brexiteers by stating categorically there will be no second referendum on Britain’s membership of the EU. Writing in today’s Sunday Telegraph, Mrs May said another Brexit vote would be a “gross betrayal” of the majority who had voted to leave the EU. She writes: “In the summer of 2016, millions came out to have their say. They trusted that their vote would count; that after years of feeling ignored by politics, their voices would be heard.